Vegan jerky is a staple snack for many hikers. 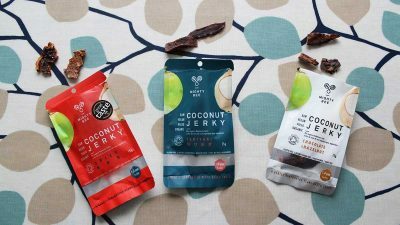 Read my review of Mighty Bee’s new jerky made from coconut! 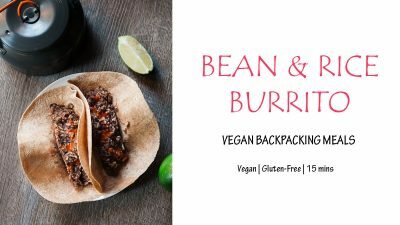 Try this super quick recipe for vegan bean and rice burritos. Perfect for backpacking and camping trips. 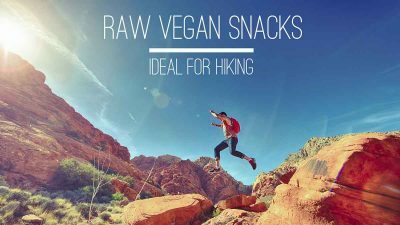 Vegan jerky makes a great lightweight hiking snack. 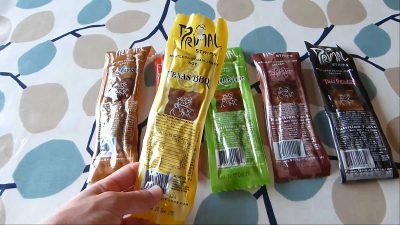 See my review of Primal Strips’s meatless jerky. 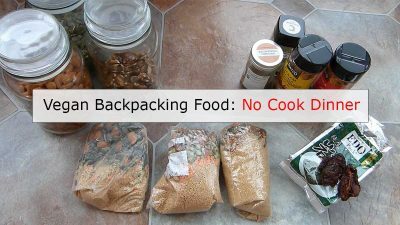 Easy and nutritious couscous recipe perfect for backpacking and camping. 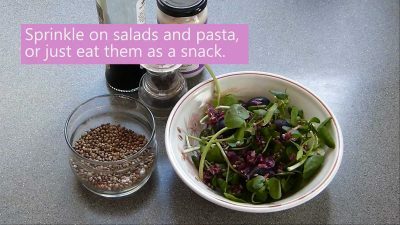 Plus you don’t need a stove to make it! 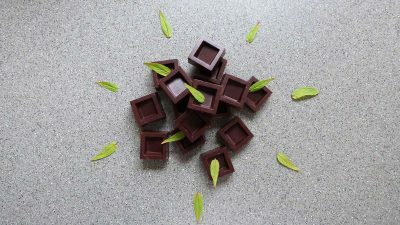 Vegan mint chocolate made with only 4 ingredients. It’s super easy and quick. 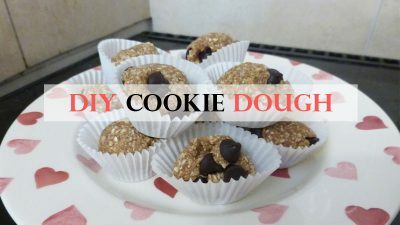 DIY cookie dough that’s delicious and nutritious. 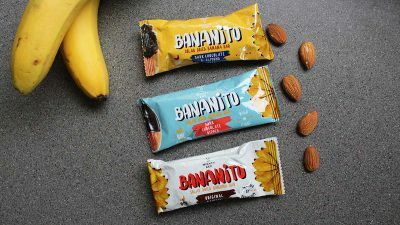 It makes a perfect backpacking snack! 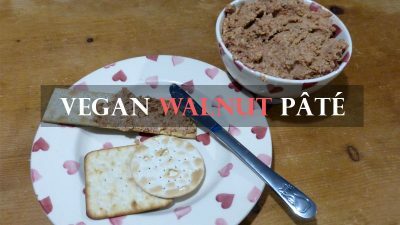 This vegan pâté is really easy to make and is great for spreading on sandwiches, crackers and with veg sticks. Hemp seeds are one of nature’s superfoods and are considered the most effective source of plant based Omega 3. 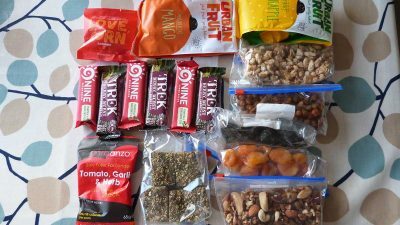 These snacks are ideal for keeping you energised during your trek, and most can be made at home. 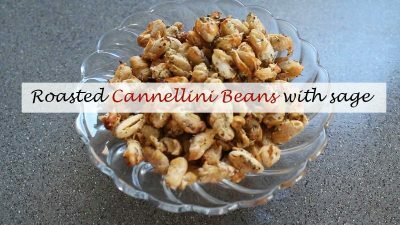 These roasted cannellini beans make a delicious healthy snack for kids and adults.